Visitors are constantly surprised at how much there is to see and do in Port Vincent, and surrounding areas of South Australia’s Yorke Peninsula. To show just how much there is to see and do, Port Vincent Caravan Park and Seaside Cabins is running a challenge. See how many activities you can do, or see if you can do them all. You can click on this link: Thing To Do Challenge to print your own PDF printable version to take with you. Port Vincent has a number of walking trails that go through and around the town, these also join into the 500km Walk the Yorke trail. So choose your trail, choose your distance and get your walking shoes on. Brochures are available from our office or the Visitor Information Office. Take off your shoes and walk on our sandy beach. See what treasures you can find. Walk, hire a canoe, or go by boat and find your own private sandy inlet for the day. Play a round of 9 hole Putt Putt golf by the seaside on the back beach. 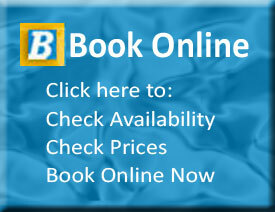 Enquire at the office at Port Vincent Caravan Park & Seaside Cabins. Small fee may apply. Grab some shoes, some rakes, a tub, a crab measure, and watch out for your toes!! Cook and eat fresh that day. We even lend out rakes and tubs for FREE to park patrons. Seasonal. Get some bait and catch your tea from the wharf, cemetery beach or the back beach. Take the kids to the foreshore beach or back beach esplanade playgrounds, or become a kid again yourself. Pick up a “Birds of the Southern Yorke Peninsula” brochure from Port Vincent Caravan Park & Seaside Cabins, or the Information Center and see how many birds you can spot in the parks, on the walking trails, or just sitting on the beach. Walk around Bennett Park. Perfect for bird watchers and flora enthusiasts. Take a picnic with you. Grab some meat from the local butcher or IGA and cook a BBQ while the kids play on the playground at the foreshore area, close to the safe swimming beach, or at Burrows Park on the back beach Esplanade. New BBQ’a have also been installed at the wharf area. Grab a drink or a takeaway coffee and find a quiet spot to sit and enjoy! Watch out for dolphins playing. In our very safe, sandy bay. Visit the ancient glacial rocks on the northern side of the Marina and read about how they got there. Learn about the story of the SS Juno at the monument by the wharf. Read the plaque located on the left hand side, just before you enter the Marina. Dive off the pontoon and have some fun. Take a photo of friends or family in the welcome to Port Vincent picture frame located on the foreshore area, or ask a friendly local to take a photo for you. Browse our local shops. From sewing and quilting supplies to jewellery, home wares and gifts. There are many to choose from. See if you can make it around Gifts Port Vincent in one lap. Go for a wander through the Marina and see all of the yachts moored there and dream!! So much history in a small country cemetery, and what a great view! Go fishing at the beach, while you are there. Fabulous examples of 1900’s and 1960’s architecture: Uniting Church built 1909, St Neots Anglican Church built 1964. Drive, or take the long bush walk up to the lookout and take a fabulous photo of our picturesque bay. Find the sign at the wharf and read all about it’s history, or just catch some fish, squid or crabs. Located in the tennis club rooms behind the oval on Talbot St. Open Thursdays & Saturdays 10am-12pm. Find a quiet spot to sit on the sandy beach and enjoy some cooked fish and chips from the Kiosk or the Deli. Bring your own or hire a canoe or a kayak from Port Vincent Outdoors and go exploring the coastline. Try for some crabs, or dive for scallops. You can pick up a reef watch underwater card from Port Vincent Caravan Park & Seaside Cabins and report “Feral” or “In Peril” species. Have a game on our picturesque cliff top 9 hole golf course. Hire a boat (boat licence required) from Port Vincent Auto & Tyre Service, or go out on your own or on a mates boat, and catch some whiting at the gullies. Bring your own bike and cycle around town or along the Walk the Yorke bike/walking trails.